Welcome! Eco Coach Dani is a Certified Green Living Coach providing expert advice and resources designed to help you improve your health and save money while protecting the planet. Discover how you can start making changes that matter today without giving up the comfort of your current lifestyle in this educational blog. Check out EastCoastEcoSolutions.com for even more great resources. Did you know? Within the average household electric dryers account for 6-10% of energy consumption. National Hanging Out Day was established in 1955 to bring attention to energy waste associated with machine dryers and to encourage people to dry their clothes in the open air. Whether we like it or not, chores are an essential part of life and one of those essential, modern day chores is laundry.A simple way to green or laundry routine is to get back to basics and line dry our items.The sun acts as a natural antimicrobial agent so using a clothesline outside when the weather allows is good for your health.For indoor drying you can use a clothes rack.No matter the location of your drying clothes with each load of laundry you’ll be conserving energy and protecting the planet. Keep America Beautiful (KAB)is a nonprofit organization that has been inspiring and educating people to take consistent action to help beautify their community environments since 1953. 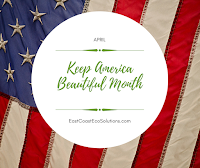 April has been designated 'Keep America Beautiful' month since the 1970's and KAB uses this month to celebrate the hard work of their state and community based affiliates, local partners, businesses, public offices, and millions of volunteers who make a difference through their environmental initiatives. With their corporate, non-profit, and education partners KAB supports several campaigns such as cars to donate, cigarrette litter prevention, the great American clean up, and the give and go move out program. All of their campaigns are designed to help build and sustain vibrant communities. I encourage all of you to do a little research this month and see what KAB programs you can get your community involved in. Spring is the time of year when the winter fantasies of gardeners everywhere start to become reality. As the bulbs start blooming and the leaves start budding, garden lovers everywhere become excited to help along yet another year of beautiful flowers and luscious plants. What better time, then, to consider the most eco friendly ways we can do that? Rain is easy to take for granted, but we sure miss it in our garden when we suffer a dry spell. Why not collect rain water when it's in abundance during a storm and save it for the day you'll need it? That's exactly what rainwater barrels do for you. You can set them up under your gutters, and they can collect up to sixty gallons of rain depending on their size. Then, when the skies are blue and there is not a cloud in sight you can release the water through your hose and right to your plants when they really need it. 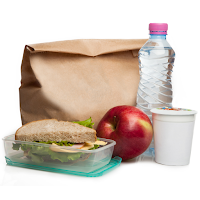 Tomorrow is Make Lunch Count Day, a day set aside to get away from your desk and enjoy your midday lunch away from the office. This is so important because 73% of people eat lunch at their desks at least 2x/week and one third of workers eat lunch at their desks every single day. Are you guilty of this? I am! I typically pack my lunch 5 days/week and end up eating at my desk 3-5 days per week. On Mondays I dog sit on my lunch break and I try to make it a point to go to my parents house one a week to eat my lunch with them and my niece. But, most of the time I stay at my desk because it's convenient. Nat'l Walk to Work Day! 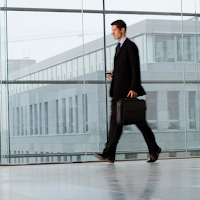 Get out your sneakers and map out your route cause tomorrow is National Walk to Work Day!! Recognizing this day is good for our physical health, our personal health, and the health of the planet as a whole. If you're someone who typically uses a vehicle of some sort to commute to work you'll be pleasantly surprised by the benefits switching it up can bring. By the time you arrive at your job you'll feel awake and energized and your head will be clear and ready for whatever comes your way. Use the extra time it takes to walk as a way to slow down the day and appreciate the beauty that surrounds you. It's too easy to lose sight of what's beyond work these days so putting in a little effort to reconnect with the environment might be just what you need to refresh your body and mind. 1. Set your alarm early. 2. Pack an on the go breakfast. Greetings! As a Certified Green Living Coach (CGLC), it is my mission to inspire and empower others to live a healthier, greener life across domains.